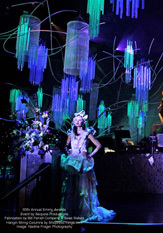 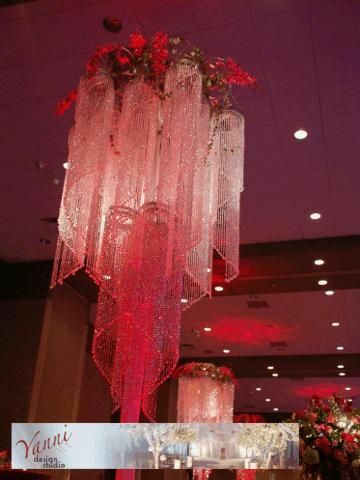 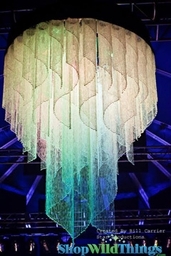 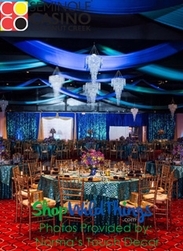 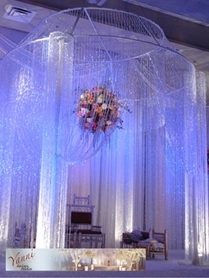 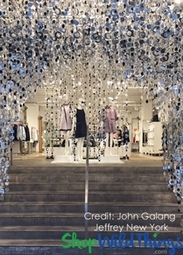 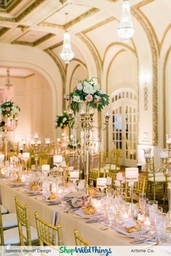 Yanni used our Chelsea Chandeliers to make these incredible HUGE chandeliers. 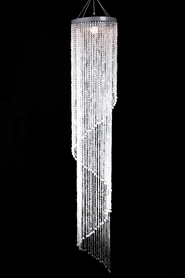 We have Chelsea Swirl Chandeliers available in a 4' length as seen in the photo (several of the 4' long chandeliers were bunched together to create this look), or in our new "Grand Chelsea" 10'long version as seen below!!! 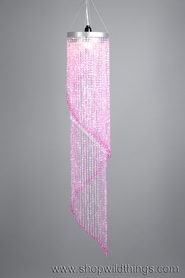 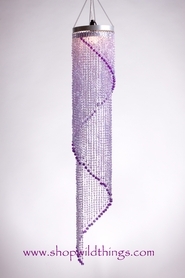 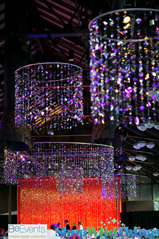 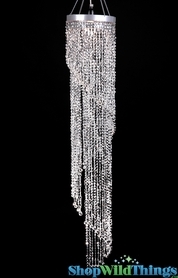 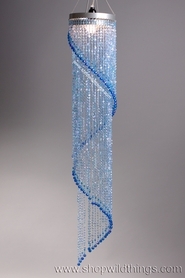 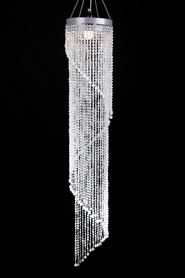 The beads in these chandeliers are the same beads that are in our Diamonds Beaded Curtains (as seen on CSI).